Have you made friends online by Crafting? If the answer is yes, you're not alone - so many of us have found such fun and lasting friendships by sharing our love of crafting online! 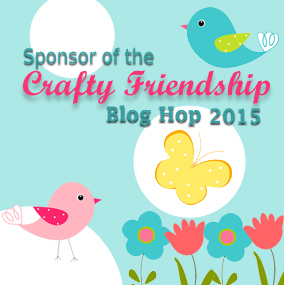 Today we're sponsoring a special blog hop created to celebrate those crafty friendships! Make sure to check out this blog hop for a chance to win a prize from us at Newton's Nook Designs, along with many other fun sponsors!! What a great idea for a blog hop. Thanks for sponsoring a prize. Yuki's card is fantastic and that stamp set amazing!! Great hop. Got to visit some sites I'd not been to before. 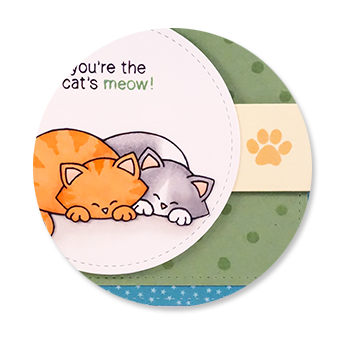 This is such a cute card with an adorable image !!!! Paper crafting it's a wonderful hobby and I had met amazing people, and I appreciate the all the thought that manufactures like you put on to their products to make our crafting experience easier and happier!